For Sale NEW PRICE TO MOVE, REDUCED FROM $150.00 down to $100.00!!! 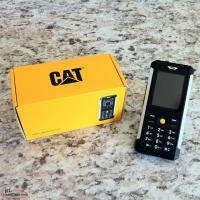 One Unlocked Rugged Waterproof Cat B100 Cell Phone By Caterpillar. Condition, lightly used and in great condition. Shows minimum signs of wear. Great phone for those people who are rough on a phone and who like a good tough phone for mainly placing or receiving phone calls. I used this phone 4 years on the Bell Mobility Network but it is unlocked and can be be used on any Cellular Network that uses a sim card. Just pop in your active sim card and you are ready to go. A very basic phone. It does however have internet browser but not a smartphone. It also has texting capability and a camera. It takes a Mini SD card for extra music and other files. All included as it came from the manufacturer with a charger/cord battery and the original box. If you have questions please message me. 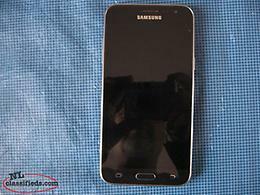 Samsung J3 with broken Screen. Used phone for 3 months before the screen broke. Screen is blacked out. 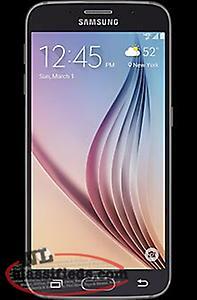 Samsung Galaxy S6 in excellent condition. Works perfectly. In a nice case. 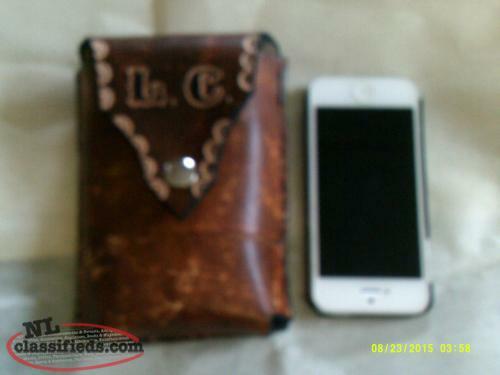 GENUINE LEATHER CELL PHONE CASES...HANDMADE. 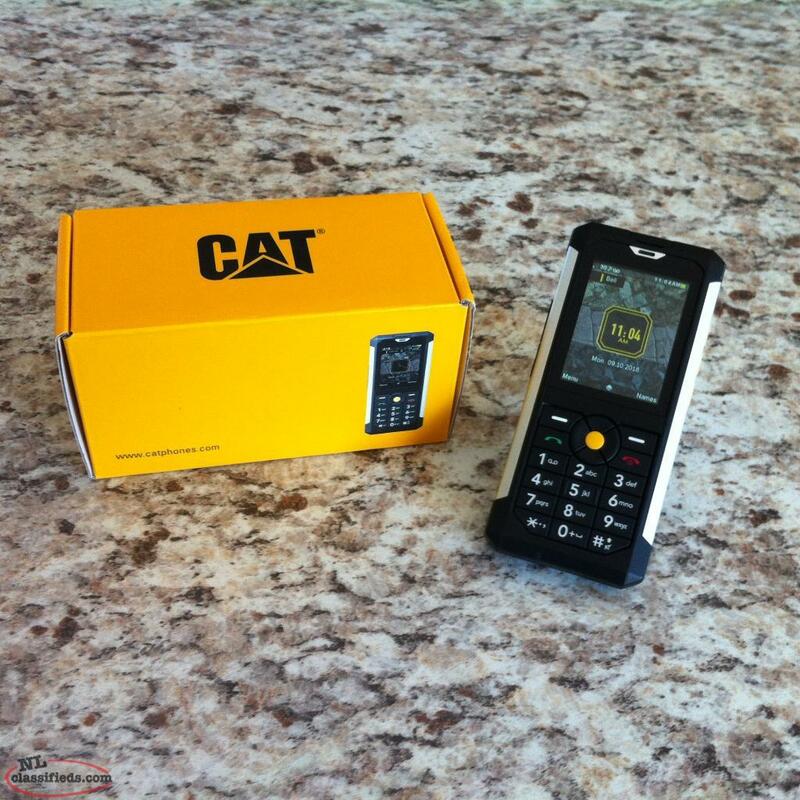 TO ORDER CALL LEO 7098852004 OR 2010 NEED EXACT SIZE OF PHONE.FITS ON BELT.........INITIALS EMBOSSED IN CASE. 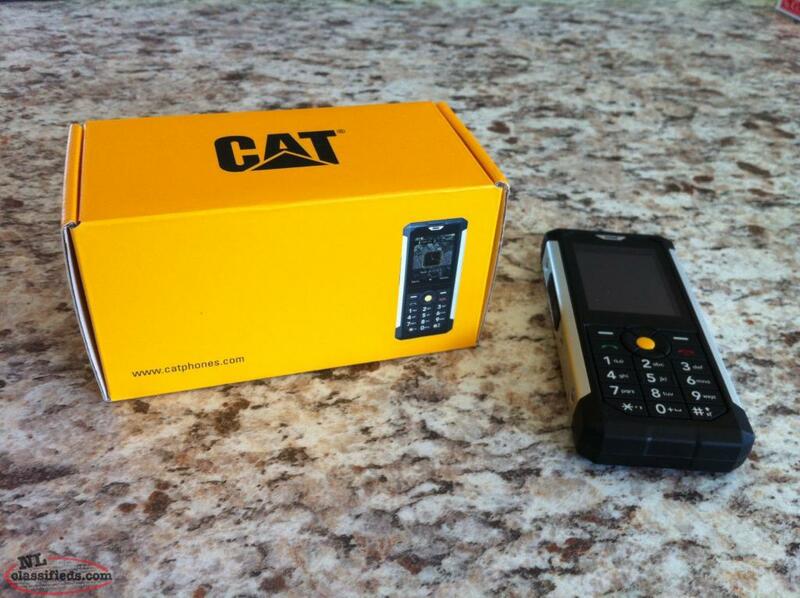 Hi, I'm interested in the 'For Sale A Unlocked Cat B100 Cell Phone' posted on NL Classifieds! Please contact me if still available.